Nanolasers have unique properties remarkably different from those of macroscopic lasers. 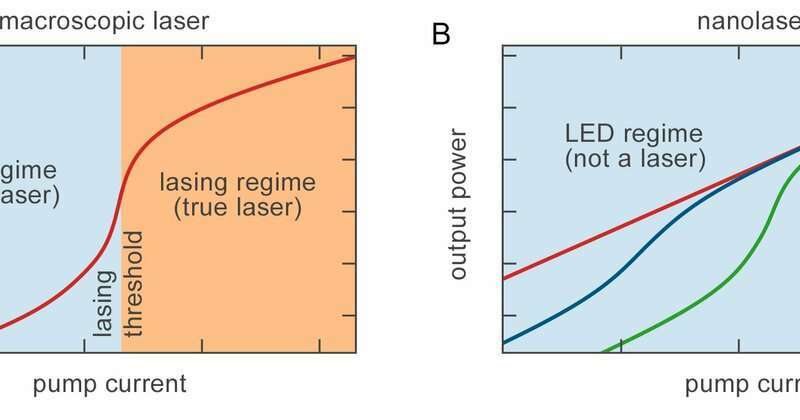 However, it is almost impossible to determine at what current the output radiation of the nanolaser becomes coherent; additionally, for practical applications, it is important to distinguish between the two regimes of the nanolaser: the true lasing action with a coherent output at high currents, and the LED-like regime with incoherent output at low currents. 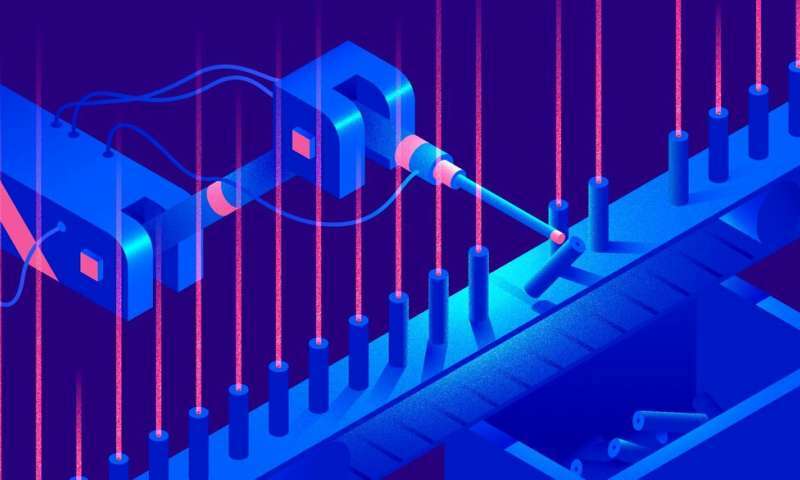 Researchers from the Moscow Institute of Physics and Technology developed a method to determine under what circumstances nanolasers qualify as true lasers. The research was published in Optics Express. In the near future, nanolasers will be incorporated into integrated optical circuits, where they are required for a new generation of high-speed interconnects based on photonic waveguides, which would boost the performance of CPUs and GPUs by several orders of magnitude. In a similar way, the advent of fiber optic internet has enhanced connection speeds, while also boosting energy efficiency. For a radiation source to qualify as a laser, it needs to fulfill a number of requirements, the main one being that it has to emit coherent radiation. One distinctive property that is closely associated with coherence is the presence of a so-called lasing threshold. At pump currents below this threshold value, the output radiation is mostly spontaneous and no different in its properties from the output of conventional light-emitting diodes (LEDs). But once the threshold current is reached, the radiation becomes coherent. At this point, the emission spectrum of a conventional macroscopic laser narrows down and its output power spikes. 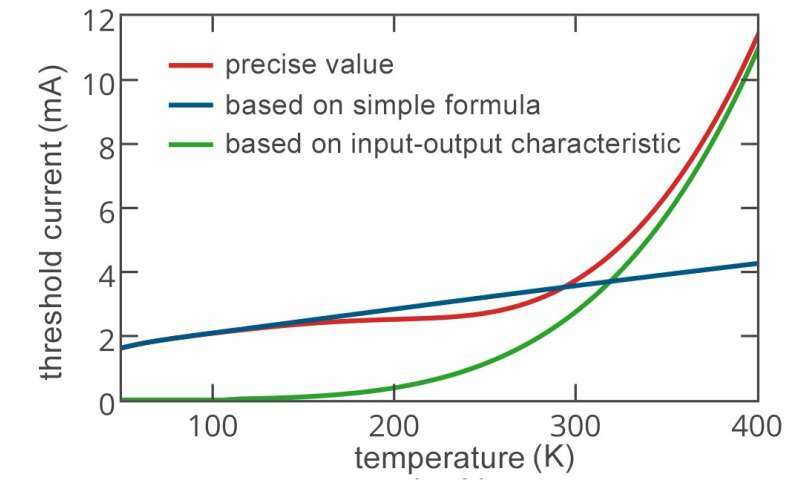 The latter property provides for an easy way to determine the lasing threshold—namely, by investigating how output power varies with pump current (figure 1A). Many nanolasers behave the way their conventional macroscopic counterparts do, exhibiting a threshold current. 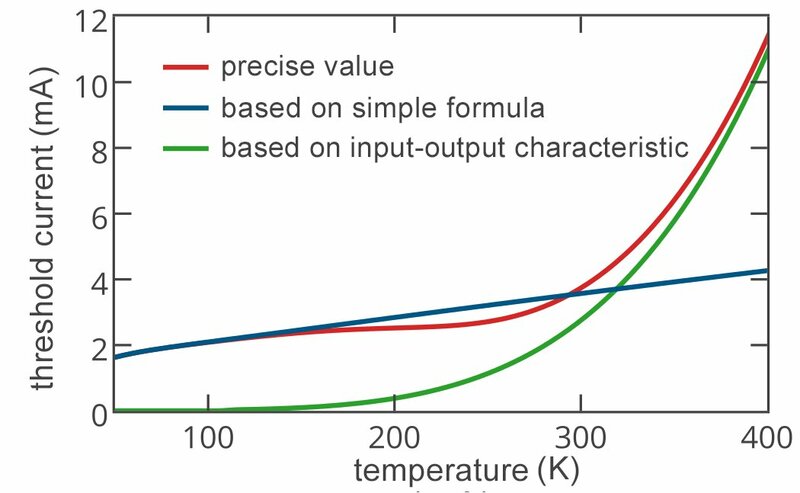 However, for some devices, a lasing threshold cannot be pinpointed by analyzing the output power versus pump current curve, since it has no special features and is just a straight line on the log-log scale (red line in figure 1B). Such nanolasers are known as "thresholdless." This presents the question: At what current does their radiation become coherent, or laserlike? The findings reported by Vyshnevyy and Fedyanin enable predicting in advance the point at which the radiation of a nanolaser—regardless of its design—becomes coherent. This will allow engineers to deterministically develop nanoscale lasers with predetermined properties and guaranteed coherence. The key to a more efficient nanolaser?